Irrigation control is one of the most important things to control in a hydroponic crop. Irrigate too frequently with a media that has high water retention and your plants will start to wilt as their roots die due to lack of oxygen and reductive conditions, water too sparingly and your plants will not grow as much as they could and maybe even die from the drought conditions you're imposing on them. On today's post we will discuss the topic of irrigation, more importantly how to know when to water your crops and how to control this process using sensor based approaches instead of just using look-and-feel to determine when to water your plants. Plant roots need to have access to water and nutrients. This means that the root zone needs to be saturated with nutrient-rich water as often as possible while avoiding oxygen depletion and salt accumulation. This means that irrigation needs to be controlled to ensure that plants get as much as possible, as often as possible, without going into any excess that would be detrimental to growth. Sadly there is no solution that is true for all crop setups and gauging irrigation frequency requires a close monitoring of what is going on within the crop. To really know when to irrigate crops you should have a way to properly monitor moisture levels. This can be achieved through several methods, for example with tensiometers or with simple weighting of the plants, but many of these methods are often not cheap or practical for routine practice. Manual inspection of plants can also be misleading since top level moisture perception is subjective and can often lead to very suboptimal results. 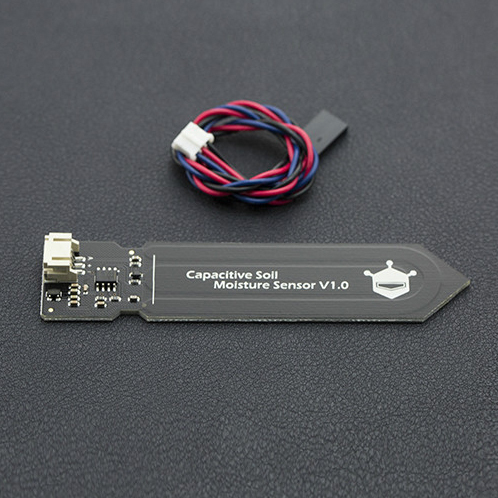 In today's world the best way to monitor moisture without having to pay a high cost is to use simple capacitive moisture measuring sensors. These sensors are corrosion resistant and independent of salt concentrations in solution and therefore provide you with a good measure of moisture within your root zones without having to worry about the conductivity of the nutrient solutions. My favorites right now are this small capacitive sensor for smaller media containers and the chirp for larger containers. If you don't want the chirp features and just want sensor readings you can also get this simpler I2C sensor for larger containers. Both of these sensors are cheap and can be installed in crops with many plants. 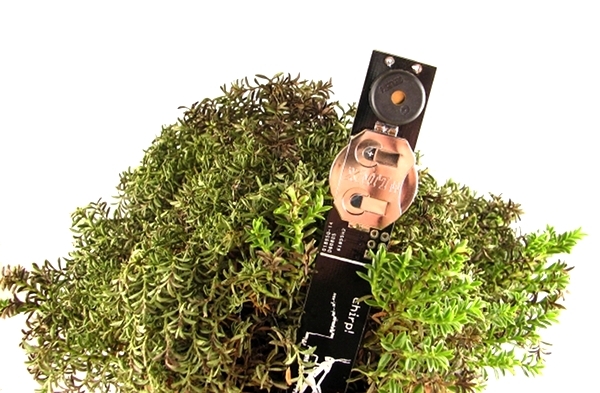 If you want to go with the simplest possible setup the chirp provides auditory signals when plants need to be watered, although this is not the ideal way to setup the sensors. Ideally you would want to connect these sensors to an arduino so that you can process the data. The arduino mega is particularly well suited for this task as you can connect up to 16 analogue input sensors to it, however you can use less analogue inputs with a normal arduino. Both sensors provide sample code for measuring values from an arduino, you can then output them to an LCD screen or save them within a computer. You can even connect the arduino's digital outputs to a relay so that you can automatically trigger your irrigation system when a custom set moisture level is reached. Obviously you do not have to place a sensor within each plant. Just monitoring around 10-20% of your crop will give you enough information to know exactly how moisture levels behave within your crop and when you should ideally water them. This will eliminate all the guessing from your watering and will allow you to water your media perfectly while completely accounting for how long it takes for water to leave your plants. This means you no longer would need to just guess when to water, but your watering will be perfectly tailored to what your media allows and what your plants need. Hello Dr.Fernandez, just to clarify...this method largely applies to drip irrigation non recycling type hydroponic? Thanks for spending time again in your blog.